The Dystonia Medical Research Foundation (DMRF) Canada, in partnership with Allergan Canada, is pleased to announce the selection of the candidate for the first-ever Clinical Fellowship for Movement Disorders, with a specialty in dystonia: Karlo J. Lizarraga, M.D, M.S., of the Movement Disorders Centre, University of Toronto at Toronto Western Hospital. This is a one-year grant intended to support the training of exceptionally qualified individuals in preparation for their clinical career in movement disorders, with a focus on dystonia and a special competence in the use of botulinum toxins. DMRF Canada is delighted to be able to award our first Fellowship to someone with Dr. Lizarraga’ s passion and expertise. That combined, with the fact that he will study under the leadership of Dr. Tony Lang; Director of the Edmond J. Safra Program in Parkinson’s Disease, Director of the Morton and Gloria Shulman Movement Disorders Clinic and the Lily Safra Chair in Movement Disorders at the Toronto Western Hospital, University Health Network made the decision clear to those on the Clinical Fellowship Review Committee. Our hope when we partnered with Allergan Canada to launch this important initiative was that we would find a suitable candidate, but certainly Dr. Lizarraga’ s dedication to the movement disorder community – combined with the outstanding mentorship team that he has supporting him at Toronto Western who will be overseeing this Fellowship has exceeded our expectations. 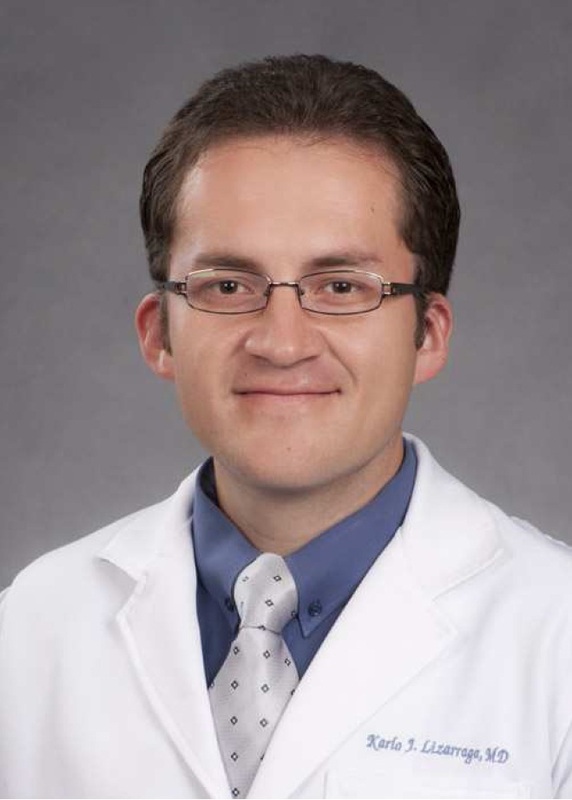 We sat down with Dr. Lizarraga to learn a little bit more about his career history, his interest in dystonia, and what he’s hoping to accomplish in the field. 1) DMRF Canada: What was it that interested you about it dystonia specifically? Were you always interested in it, or did you stumble into it? During medical school, intellectual curiosity transformed into scientific responsibility and at some point, a decision needed to be made regarding which of the neuroscience specialties was “the one”. I was “flirting around” with Neurology, Psychiatry, Neurosurgery and that is when Movement Disorders came into the picture. While working with Dr. Antonio DeSalles at the Department of Functional Neurosurgery at UCLA, we met a young teenager with severe, medication-resistant generalized dystonia and I could only think: “we need to figure out why this happens”. She was eventually treated with deep brain stimulation and the response was amazing. She was basically cured. That was it for me. No more flirting around. 2) What motivated you to apply for the DMRF Canada Clinical Fellowship? At the beginning of my fellowship at the University of Toronto, I expressed my interest to investigate dystonia to Drs. Anthony Lang and Susan Fox. They both suggested the DMRF Canada as a potential funding mechanism. It was a pleasant surprise to find out that the DMRF Canada was actually funding a first-ever fellowship in Canada. The DMRF’s mission to fund research in dystonia aligned with my scientific interests but what I liked the most was the sense of social responsibility that the DMRF has with the community and dystonia patients. 3) What are you hoping to achieve over the next year under the mentorship of Dr. Lang? Training under the mentorship of Dr. Anthony Lang will provide unparalleled exposure to the diagnosis and treatment of dozens of patients with dystonia. I will also have the opportunity to perform electrophysiological studies under the guidance of Dr. Robert Chen. Moreover, I will be sub-investigator for the dystonia coalition project under Dr. Susan Fox. At the end of this fellowship I hope to become proficient in the art of botulinum toxin injections and the programming of deep brain stimulation to better serve patients with dystonia. 4) What do you find to be the most rewarding part of the job - as a Clinician who treats dystonia patients? Being able to successfully treat and, even better, cure patients is the best reward for a clinician. The big problem with dystonia is that we still do not understand exactly why or how it happens. It is great to treat patients who respond to botulinum toxin or deep brain stimulation surgery but we all recognize there is a huge need for important research in dystonia. 5) What is a surprising fact about you? I founded a “little school” in my hometown before leaving Peru. “La Escuelita AQMED” combines technology with neuroscience-derived methods to provide complementary medical education and to offer opportunities for young, talented physicians. In the last eight years we have had excellent results and I hope to continue leading these efforts for many more years. 6) Is there anything else we should know? I am extremely lucky to have an amazing wife and family who support my academic pursuits. We are happily expecting our first baby together.